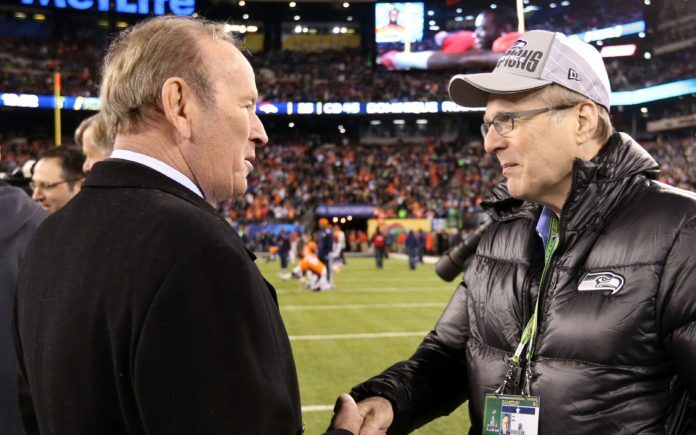 Pat Bowlen at Super Bowl XLVIII in 2014. Credit: Matthew Emmons, USA TODAY Sports. Picture an NFL without Pat Bowlen? Longtime Broncos press guru Jim Saccomano can — and it’s one that ‘s very different from the one we see today. 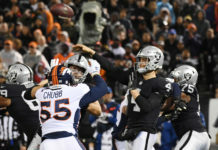 Speaking to Eric Goodman & Les Shapiro of Mile High Sports AM 1340 | FM 104.7, Saccomano explained what might not have been. Saccomano had a front row seat to the development of the NFL and the revenue and ratings growth that occurred in the 1980s and 90s. Former Fox Sports President David Hill, once said of the reasons for that growth, “Pat was the brains and Jerry Jones was the muscle.” Saccomano explained why. 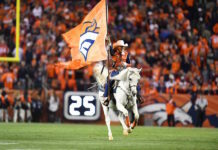 Saccomano was with the Broncos prior to Bowlen’s purchase of the team, and at the time, fans weren’t sure what to make of the flashy, fur coat-wearing owner. 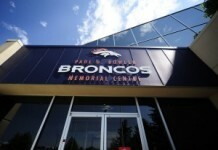 Now, Bowlen is revered in Denver and around the league. In all likelihood, the Broncos will have two men inducted into the Hall next year — Bowlen and Bailey — which makes it likely that the team will play in the Hall of Fame Game, as well. Saccomano realizes that, but understandably, doesn’t assume anything. Click here to listen to the full locker room interview with Jim Saccomano.